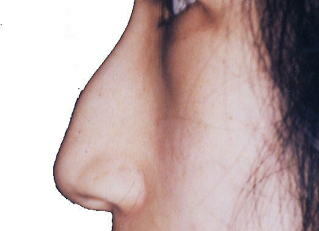 Westerns think of it as nose reduction、to minimize the contour of the nose. Of course, there are rare exemptions. Ever thought of the question: which procedure is more complicated to perform? Actually, every cosmetic surgeon has the same answer. Making it smaller and compact is more difficult. This is good news to the tiniest noses. Of course, people with perfect nose are luckier with this news, you might think. some think it is worth taking the risk. 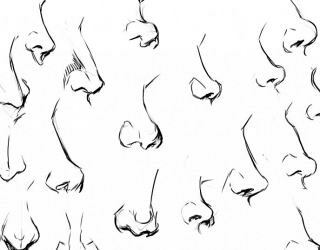 Let's take a look at the details of nose lift/reduction and the degree of their difficulties. １．Hyaluronic Acid(HA) Injection　With seconds of injaction your nose pumps up as simple as it sounds. 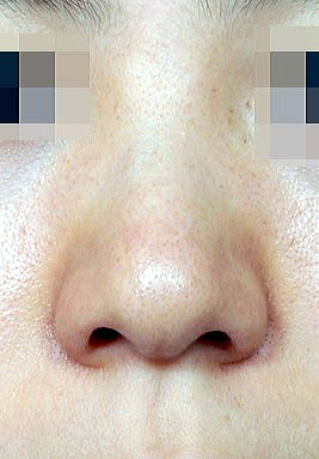 This is the typiical 'petit nose job' we say in Japan. Lately、there are lots of brand names for HA. Well-known ones are the original Restylane and Juvederm. and subsequently necrosis of the skin occurs. is the main stream of petit nose job recently because of its safety. injection with a blunt needle called cannula must be used to avoid necrosis. 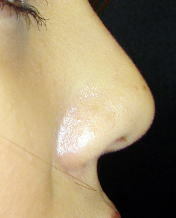 ２．Y-ko Thread Nose Lift　This is the main procedure of the 'petit' nose job done lately. The thread used in thread face lift is applied to this procedure. 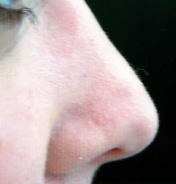 Having firmer texture, a solid material, easily being inserted by a blunt cannula, meaning never hurts any blood vessels, made this thread method to be the newest generation of 'petit rhinoplasty'. Used originally for the thred facelift, Y-ko thread is a dissolvable material that is capable also of enhancing nose contour, and with its spirally aligned barbs along its length, it can hold and show more effect than the fillers. By partiallly introducing it to the ridge may correct hump issues. Showing more effect on the tip is a highlight of this procedure. It lifts the tip to show more sharper contour on bulbous nose tip. The downtime(recovery time) for this procedure is the same with filler injections. Faster and swells less, but more effective and long lasting than fillers such as HA(hyaluronic acid). Since it is made of safe dissolvable thread, it is expected to melt away within 6 months. But during this process, collagen fibers interact with the thread to take place of its function as the lifter of the nose tip. 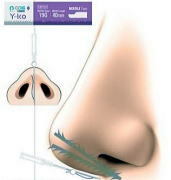 Humps on nose bridge sometimes make nasal tip look lowered, and in this case Y-ko threads can help lift the lowered tip of the nose. 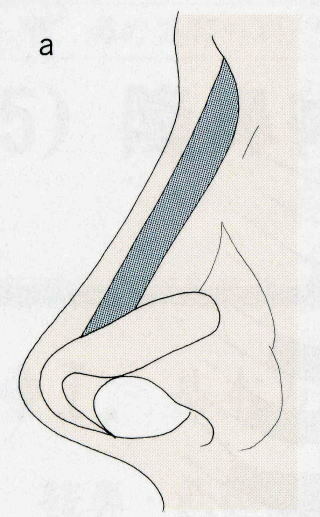 In actual insertion of the thread, a set of a blunt cannula and a thread is introduced directly along the columella(nose part that connects nose tip and nose base) to push or lift the tip with the thread and its barbs(spikes), leaving a needle point on the tip. Performed under local anesthesia. 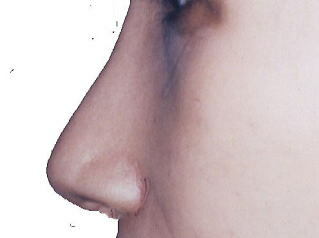 ３．Silicone Prosthesis Implant Method　By inserting a silicone implant into the nose, an enhanced, slimmer nose contour. because of lack of other alternatives that have more advantages than disadvantages. 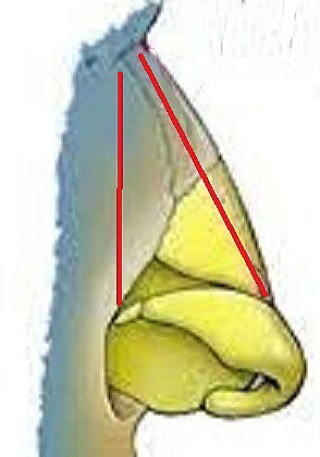 The approach is done unnoticeable inside the nose. 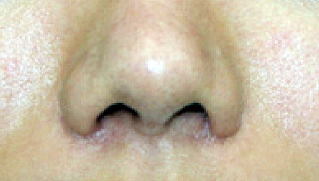 that is to prevent having the movable tumor-like touch underneath the nose skin. that sometimes it might expose through it. for a long lasting effect. that can compensate with that of the silicone. and mostly auricle cartilage is the choice. Enhancing the tip is the main aim of this procedure. 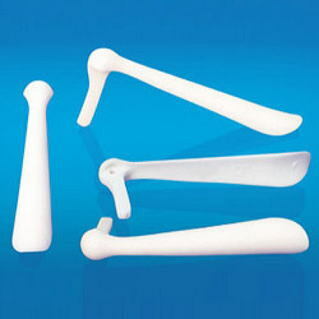 The part that is not resisitant to a larger silicone. Since this is a surgical procedure, a short duration of downtime is expected, mainly due to the 4-day(at least) taping of the nose tip and the stitches for securing the transplanted graft not to deviate to the unwanted loation. 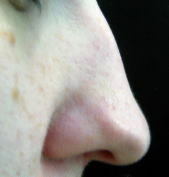 Swelling after nasal tip operation is not that of great deal. Might be easy to cover with make-up after tape and stitches removal. 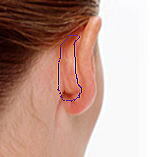 To be specific, the irregular-shape cartilage taken from the ear auricle is cut into smaller rhombus or rectagular shapes that can fit the nose tip. 2-3 pieces of these chips will be piled in the center of the tip cartilages, secured by stitches to the skin. 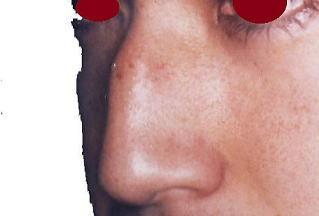 Wounds for approaches are done inside the nose, not noticeable at the exterior. by melting a bit of the fat layer under the skin. 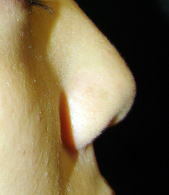 Bulbous tip usually is an indication of the excessive volume of nose tip cartilages and subcutaneous tissues over them. 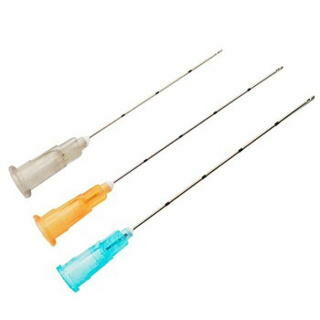 BNLS is a lipolysis injection substance that can react with the fat tissue richly found in the soft subcutaneous tissue. 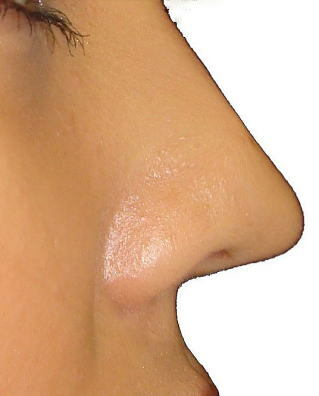 Melting the fats creates narrower nose tip that is a good remedy for the bulbous nose shape. BNLS is the newest mesotherapy that contains 8 types of lipolysis and lymph circulation enhancing substances. that required 10 to 20 weekly treatments. Even with 1 treatment you can soon observe changes with BNLS few days later. 3 or more treatments are recommended. Treatment is done with a blunt canulla to avoid swelling or bruises. such as Y-ko Thread, or cartilage transplant which is mentioned in the later statement. are the good candidate for this surgical remedy. meaning faster recovery to your daily routine. outer method might be more effective. ３. 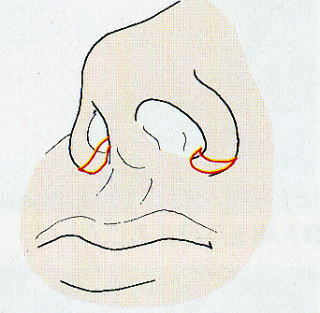 Nose Tip Reduction　The remedy for a bulbous tip. that need more volumes on their tips. transplanting graft is not enough. 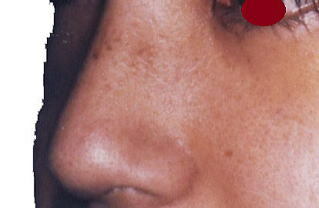 Nasal Tip Reduction surgery is necessary to correct these issues. finally, transplant some grafts if more detailed tip contour is desired. The process postoperatively proceeds similarly with cartilage transplant method. 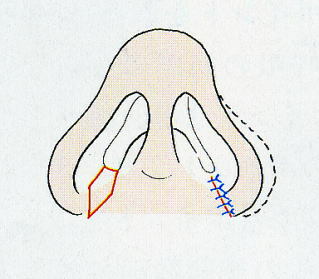 Compression with taping and the swelling is not severe if the surgery is just limited at the nose tip. 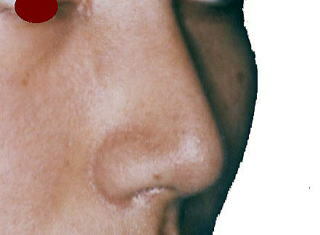 Wounds are made inside the nose, calling it the "close method" (some clinics performed with "open method). This is shortened at its tip to allow the tip to draw back from its saggy position. This is how an elevated tip can be achieved. by transplanting a pile of cartilages on the tip of the septum. because this involves the nosal bone. This hump is shaved with medical chisel and file. Methods explained so far are possible with just local anesthesia alone. Of course, genera anesthesia is also a choice. or just enhancement with silicone implant is also a wise choice. that means this method is not an easy task to do. 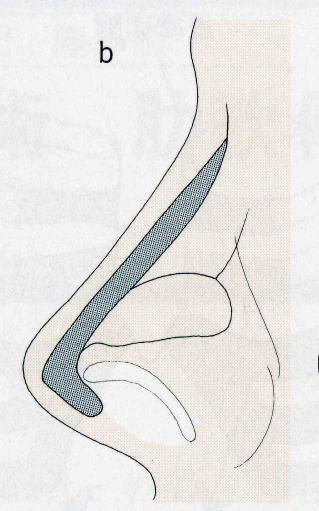 Nose tip procedures are easier due to its soft-tissue contents. Of course, under general anesthesia. 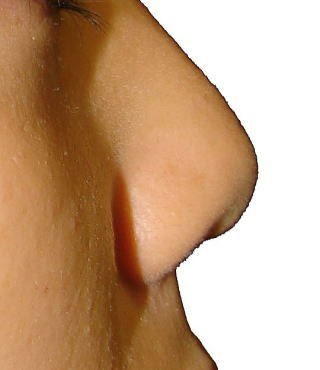 to slim down the nose ridge. to attain a successful outcome of the surgery. during the 1-week duration postsurgically. 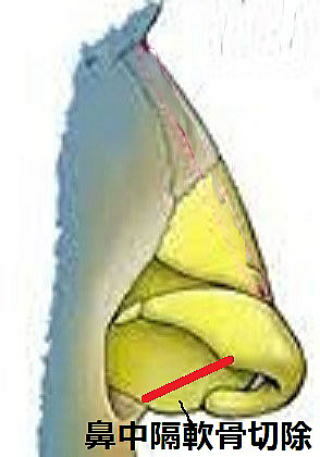 to push the bone fragment into the center line. is also a smart decision. 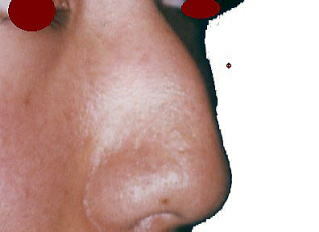 This has been the details for enhancement and reduction rhinoplasty.